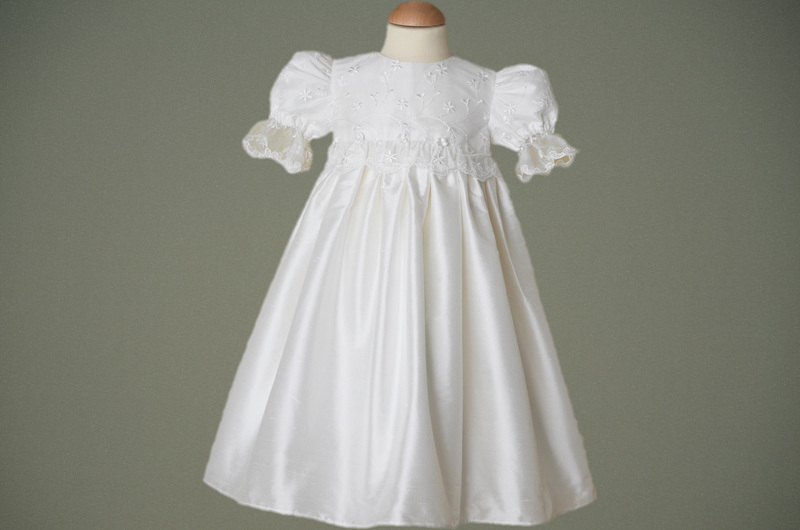 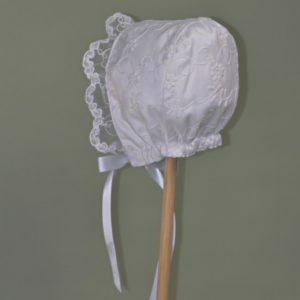 This beautifully classic Christening Dress is handmade using 100% Ivory or Antique White dupion silk and an elegant ivory lace tulle. 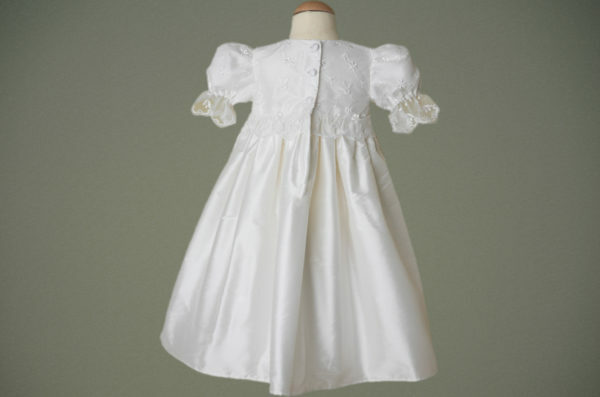 The bodice and sleeves of the gown have been covered with the pretty flower embellished ivory lace tulle; which falls slightly below the line of the bodice and is decorated with ivory silk flowers. The gown is fully lined with 100% cotton lawn, fastens to the back with handmade silk covered buttons and has short gathered sleeves. 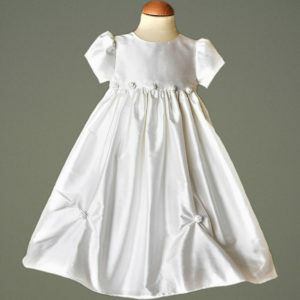 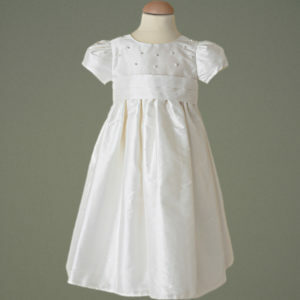 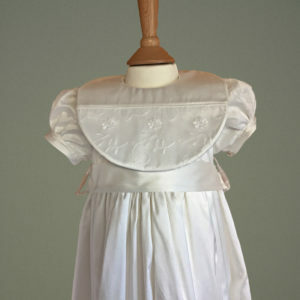 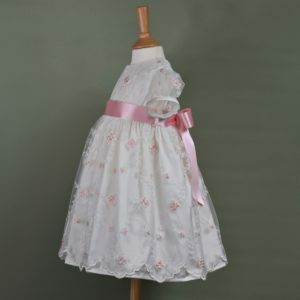 A truly stunning Christening Dress. 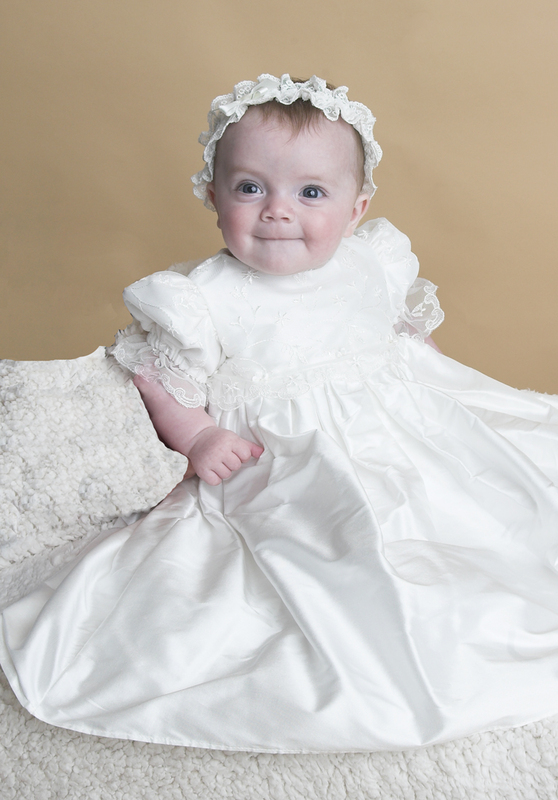 Coordinating ‘Cliona’ accessories are available to accompany this dress. 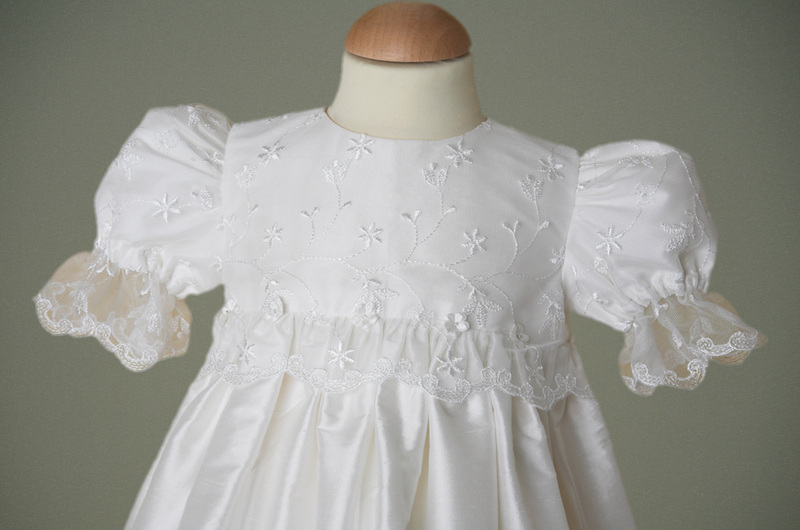 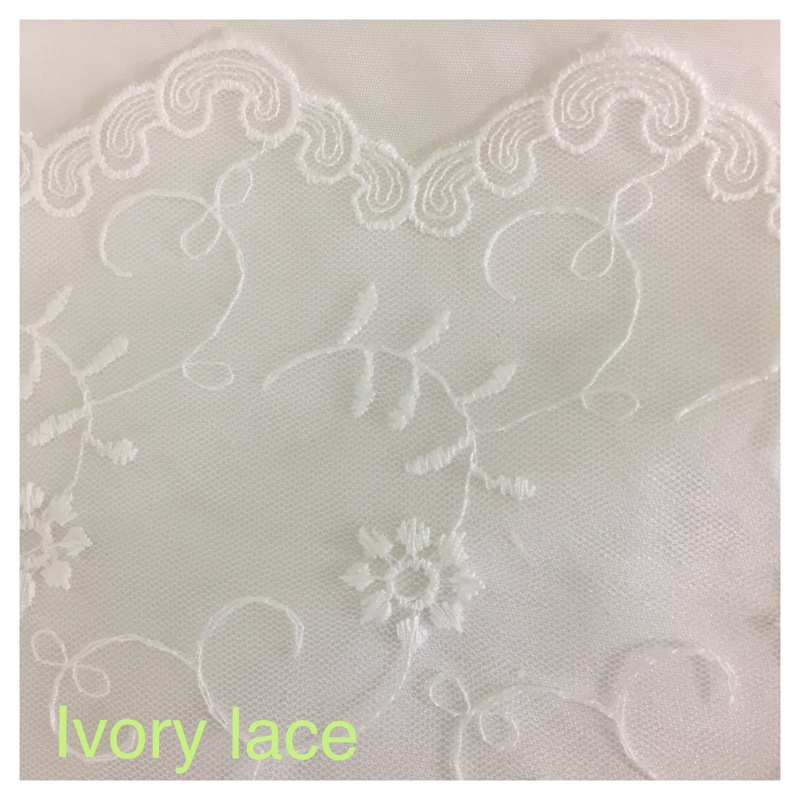 Sizing: Please measure your babies chest circumference under the arms and length from shoulder to middle of calf (or where you would like the dress to finish). 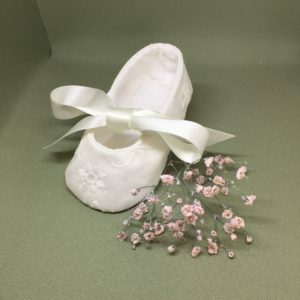 Please don’t add growth and wriggle room as we will do this based on your event date. 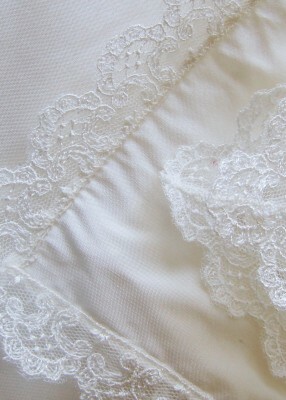 This will ensure that your garment fits perfectly. 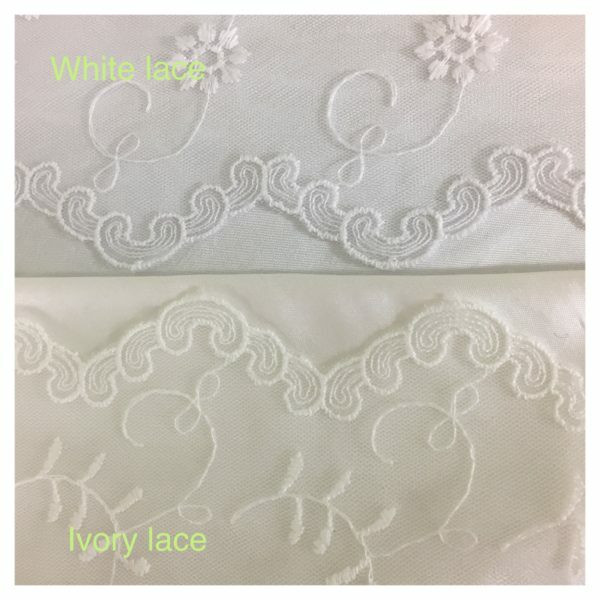 Important Information (Please read before ordering): Dispatch: All our dresses are Handmade to order so please allow up to 10 working days for dispatch. 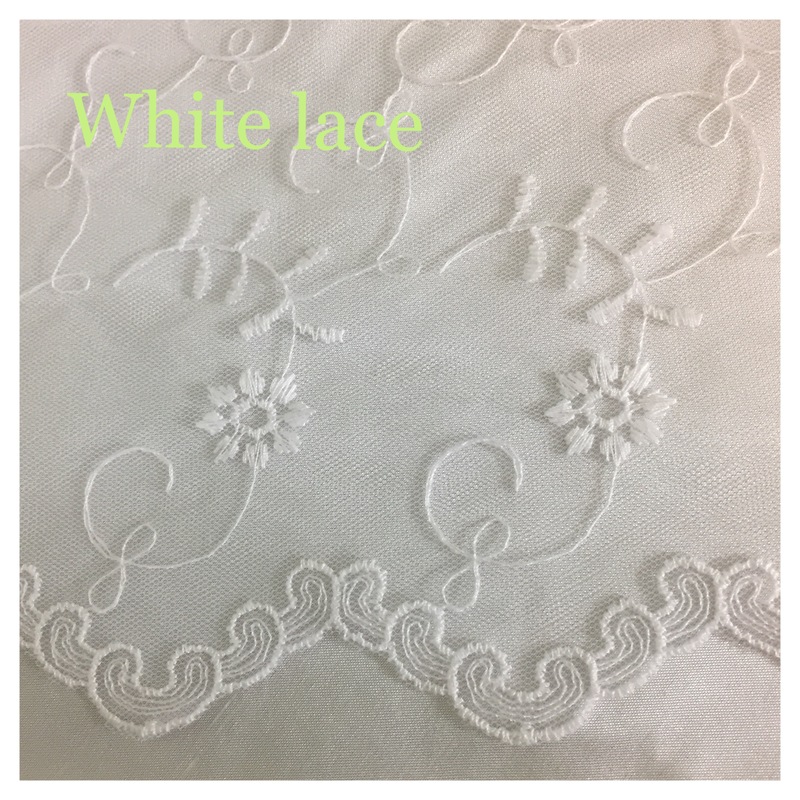 If you require your dress sooner then please contact us prior to making a purchase and we will do our best to priorities your order.